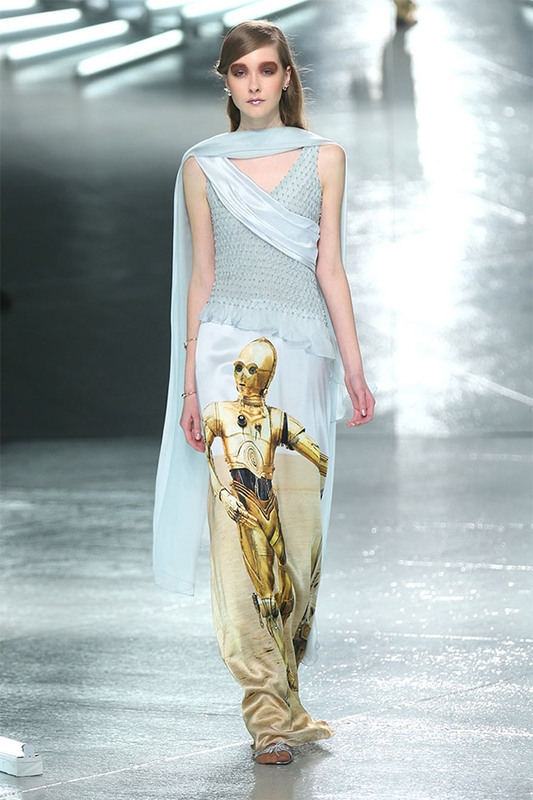 It seems the fashion designers over at Rodarte decided to travel far, far away in designing their Autumn/Winter 2014 collection for New York Fashion Week. 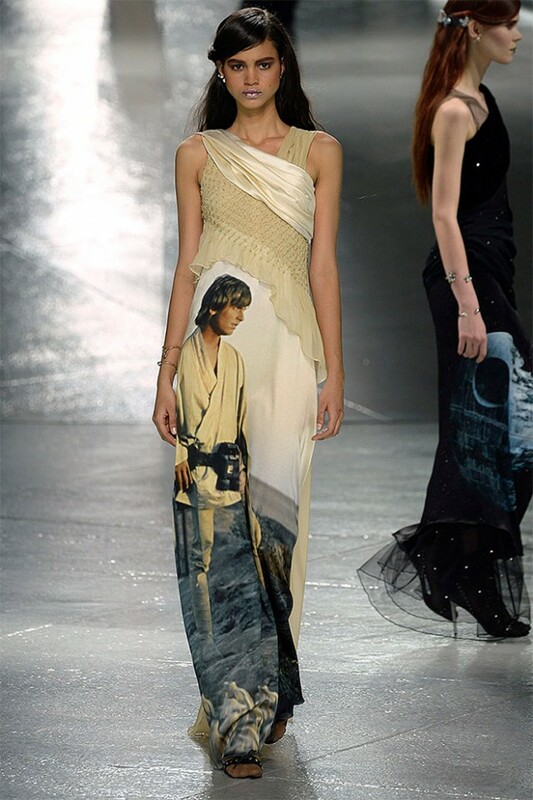 The appropriately bored-looking models show off the latest in intergalactic fashion with images of Luke Skywalker, C-3PO, R2-D2, Yoda, Tatooine and even the Death Star. 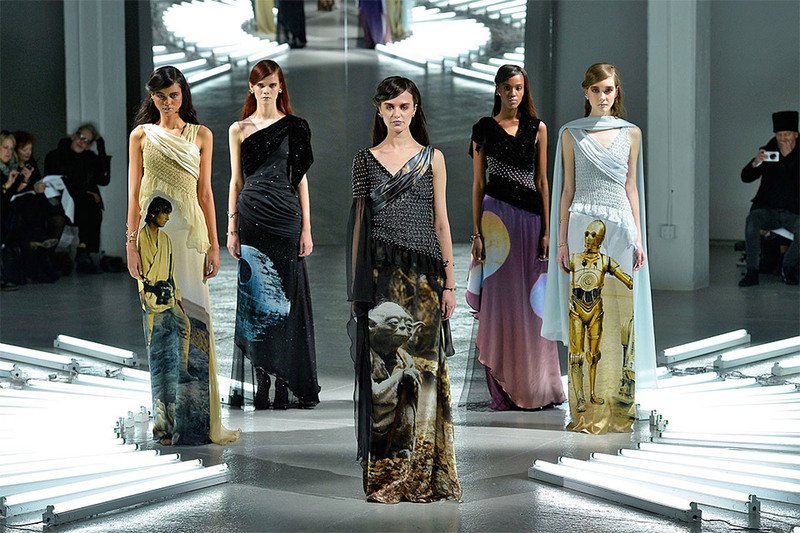 According to Fast Company, the two designers, Kate and Laura Mulleavy, had George Lucas’s blessing with this collection. 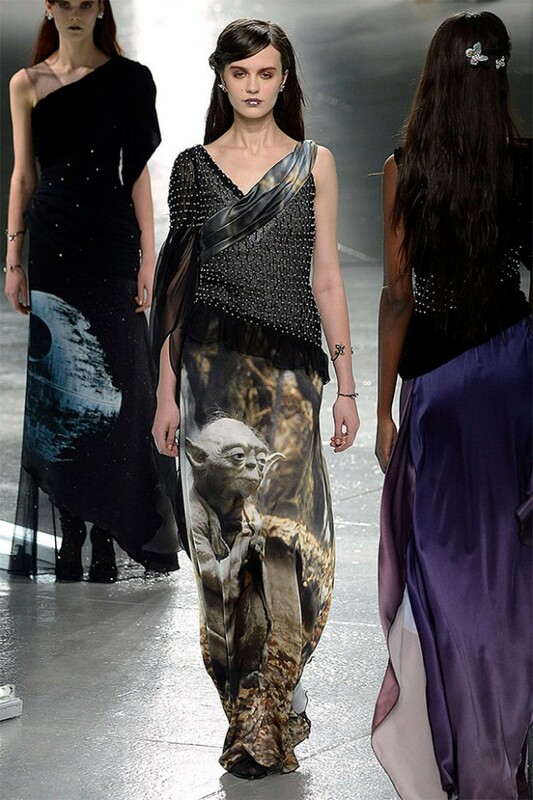 Of course, we love this collection but, frankly, we’re not sure if we’d approach a woman at a party who’s wearing a Death Star gown. As is typical, no love for Greedo.